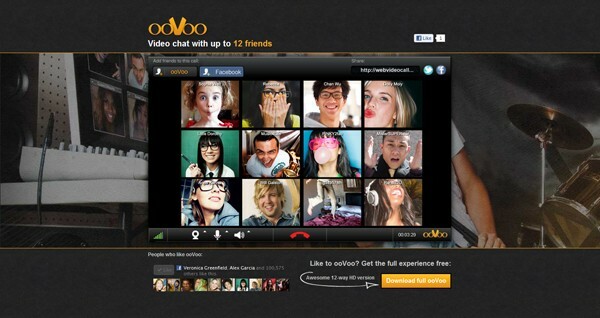 If there were some video chat corollary to Moore's Law, ooVoo is adhering to it. Almost a year to the day after announcing six-way calls, the company is expanding its offerings to include 12-way chats on both Facebook and ooVoo's iPad app. It would seem that on FB, at least, that means true 12-way, face-to-face conversations -- an obvious one-up to Facebook's native video calling app, which is powered by Skype. On the iPad, however, that 12-way claim comes with a substantial quid pro quo: while you can partake in chat with 12 people at once, you can only view up to four people's streams at a time. Moving on, folks using ooVoo on Android or the iPhone will notice some UI tweaks starting today, while people plugged into the desktop version will be treated to a more drastic overhaul. Rounding out the list of newsy bits, the ability to record and upload video chats to YouTube, Facebook and Twitter is now free. You can get your update on now at ooVoo.com, the Apple App Store or Google Play, and we've got one last screen shot after the break to help illustrate what's on tap. ooVoo opens up 12-way chat on Facebook and the iPad, gives other apps a facelift originally appeared on Engadget on Tue, 22 May 2012 09:00:00 EDT. Please see our terms for use of feeds.